Watch the video demonstration above by Ashleigh Kiser to see how to felt your crochet projects. If you'd like to try a whole new texture with your crochet projects, you'll love felting. It's a technique which produces a finish which is indistinguishable from manufactured textiles and can make bags, purses, toys, and dolls look really professional. Felting can't be reversed, so there are a few things to note carefully before you try it. Only attempt to felt projects made out of 100 percent wool yarn, as acrylic mixes may react unpredictably. Don't felt hats or gloves that fit you - they will shrink by at least a quarter during the felting process and won't be wearable anymore! 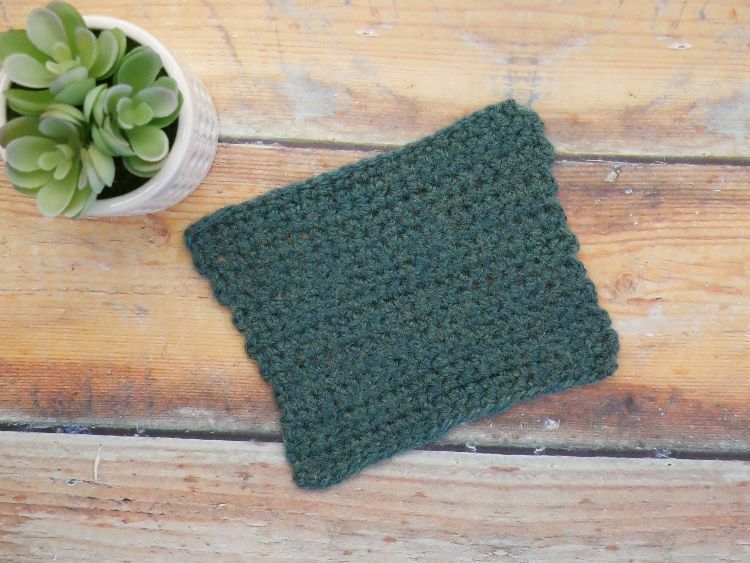 To felt your own crochet projects without using a washing machine, you will need a large pail or container full of clean water, as hot as you can stand, some dish soap, rubber gloves to protect you from the heat and to help provide some gentle abrasion for your project. You'll need a clean towel as well. Pro tip: You can also felt your projects in a washing machine. Although using a machine will mean you can felt larger projects more easily, you do lose some control over the final look of the project. Pro tip: If you're using a machine, you may have to wash your work more than once to make sure all the stitches disappear. Pro tip: If using a machine, your work may be liable to shrink more so be doubly sure that you are not felting a project that needs to end up with any specific dimensions - felting can be unpredictable, and that is one of its charms! crochet embroidery effects like surface crochet or cross stitch on crochet. First, add a squirt of dish soap to your hot water. This will help loosen the fibers of your crochet. Then moisten the project thoroughly. Now take your crochet in both hands and wring and rub it in the water, as though you are washing it vigorously. Your aim should be to loosen the fibers of the stitches and help them to mat together, blurring the stitches completely and helping the fabric to become unified. While you need to handle the project firmly, be careful not to be too enthusiastic - you don't want to detach any ends, and you want the abrasion of the project to be uniform. The longer you soak and rub, the more felted the eventual result will be - and the more it will shrink from its original size. 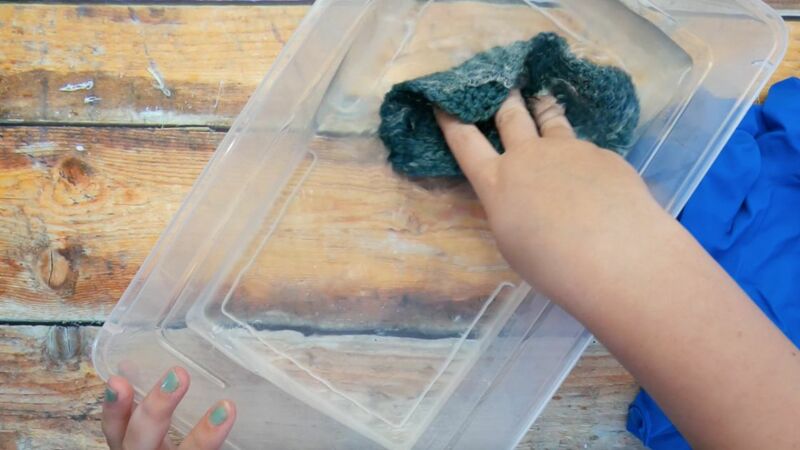 Once you have achieved the desired degree of matting, take your project out of the hot water, rinse it under cool water until the water runs clear and no dish soap remains, and gently wring out the excess moisture. Lay the project on one side of your clean towel, and fold the other half of the towel over it, sandwiching your project. Press gently to remove any remaining excess wetness. Now air the project on an unused portion of the towel (or a fresh towel) until completely dry.